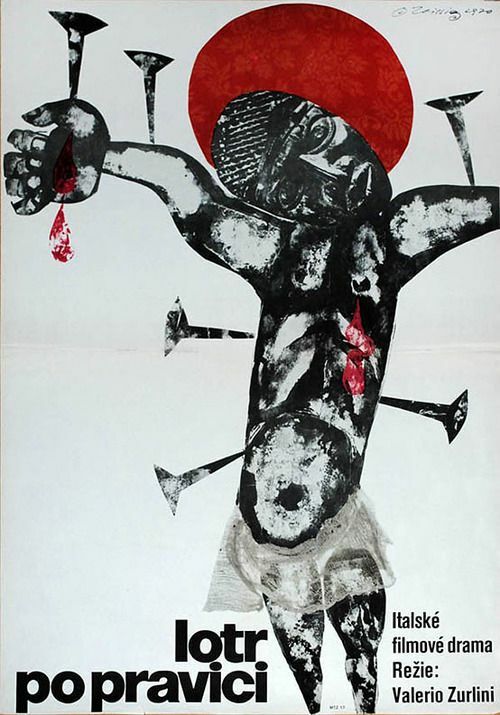 It appears that Teissig created this image as a film poster illustration for Lotr po pravici, the Czech release of the 1968 Italian film Seduto alla sua destra (released in the US as Black Jesus). Directed by Valerio Zurlini, the film is a thinly disguised biography of the Congolese independence leader Patrice Lumumba, here called Maurice Lalubi. Lalubi is a Christ figure who passively resists the dictatorial regime that had sprung up in his country and as a result is imprisoned and tortured. 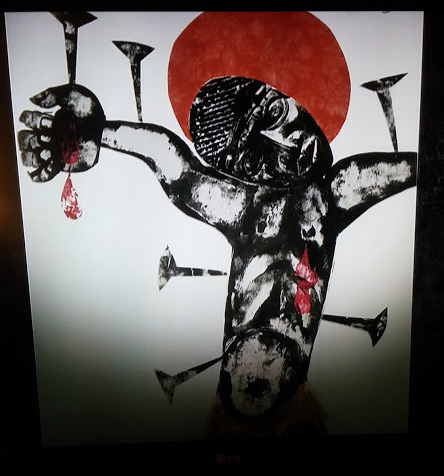 This entry was posted in Film, Non-Western Art and tagged black christ, Christ as victim, Patrice Lumumba. Bookmark the permalink.